Week 38 in Review: Adorable Furbabies! Good morning everyone. Its Monday again, and you know what that means! Photos of my furbabies! 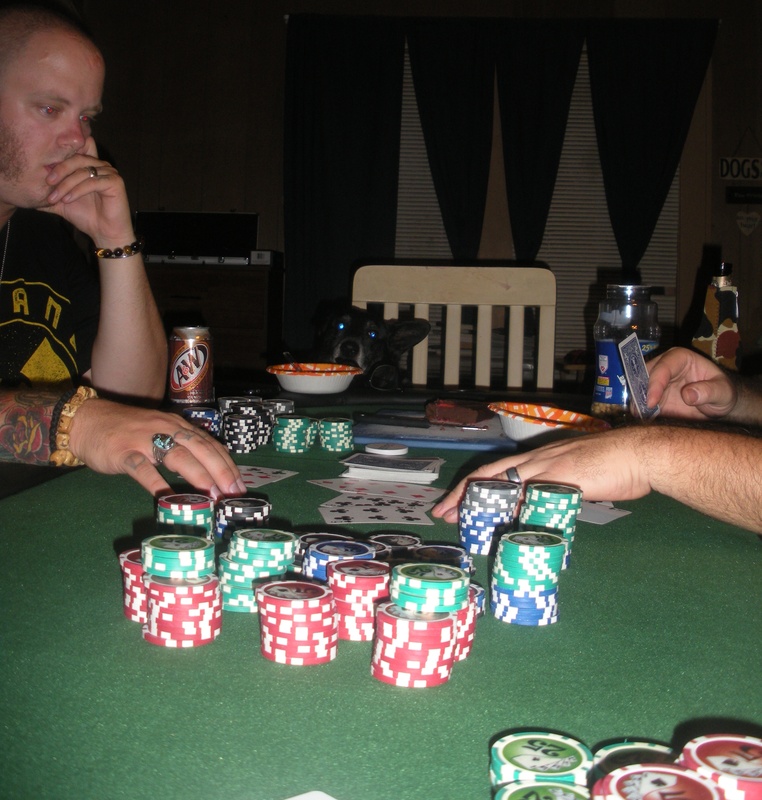 On Saturday, my husband invited a few guys over to the house to play Poker. 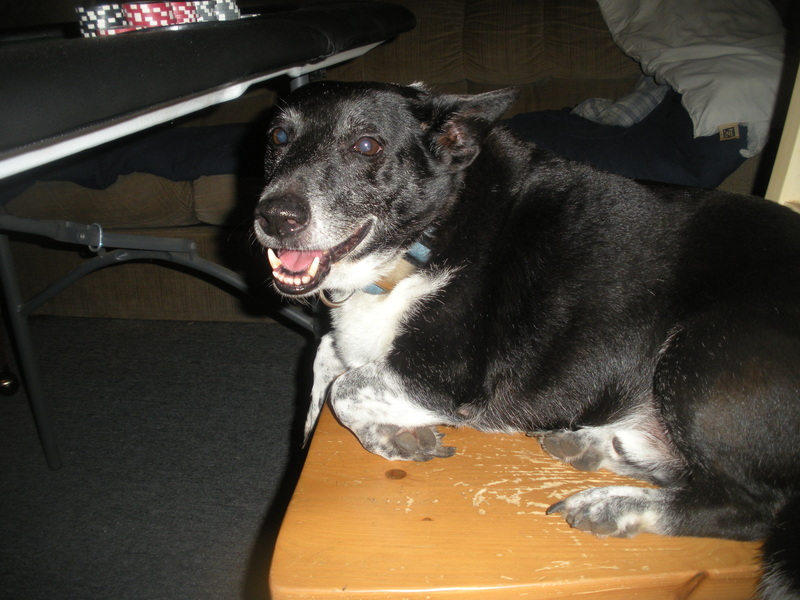 While he was setting up the table and the chips, Jeffrey made himself comfortable in one of the chairs. And while they were playing, Jeffrey jumped in the spare chair and you can see his little eyes and ears, just watching the whole thing. He wanted to play too! Then on Sunday, it was Relax Day! As you can tell below, Poker wears a doggie out! 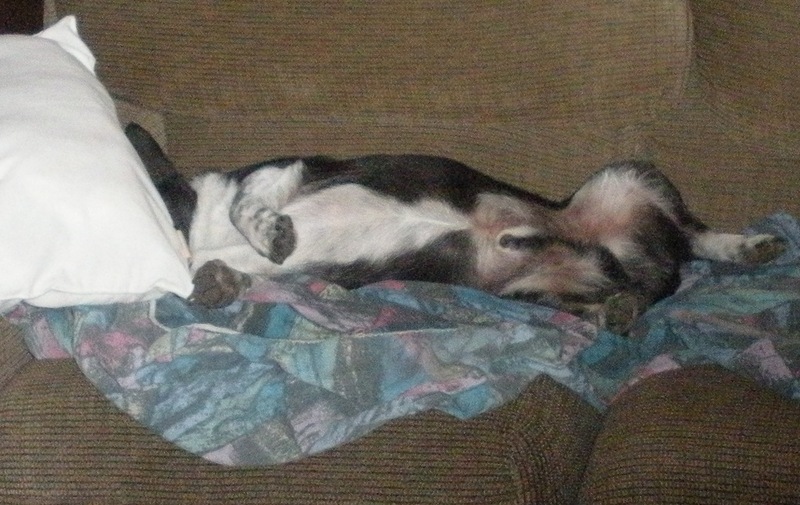 Love this picture – as Jeffrey has his head UNDER the pillow on the couch. He isn’t even aware that I took this photo. Oh I love Adorable Furbaby Monday! Look at sweet Jeffrey at the poker table lol! Thanks for the adorable photos today Brandy! Such cute pics Brandy!!! I looove the one of Jeffrey sitting at the poker table lol so stinkin’ adorable! TFS!